Forget those lame car stickers that strive for crass humour and cliched jokes. Remember the UndiMsia! 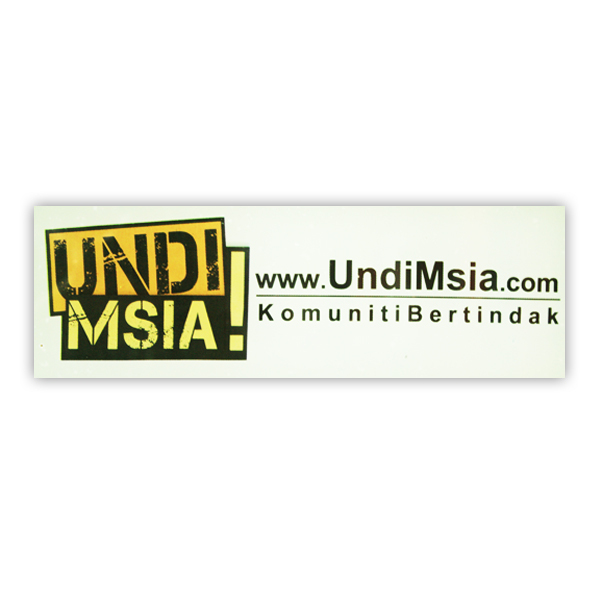 car sticker. Carefully and thoughtfully designed to enhance the aesthetic appearance of your car. Promote community activism while you’re at it. Everybody wins. Yay.